One of my favorite times of year is fall – I love baking and it gives me a great excuse to do as much as I want. Being in the kitchen and creating gives me a sense of accomplishment – and its fun to experiment and try new things. After some major peanut butter and chocolate cravings I decided to make Peanut Butter Brownie Bites. I was not sure how they would turn out – but they were FABULOUS! So I excited to share the recipe for them today along with some other great recipes and an awesome giveaway! Keep reading…. 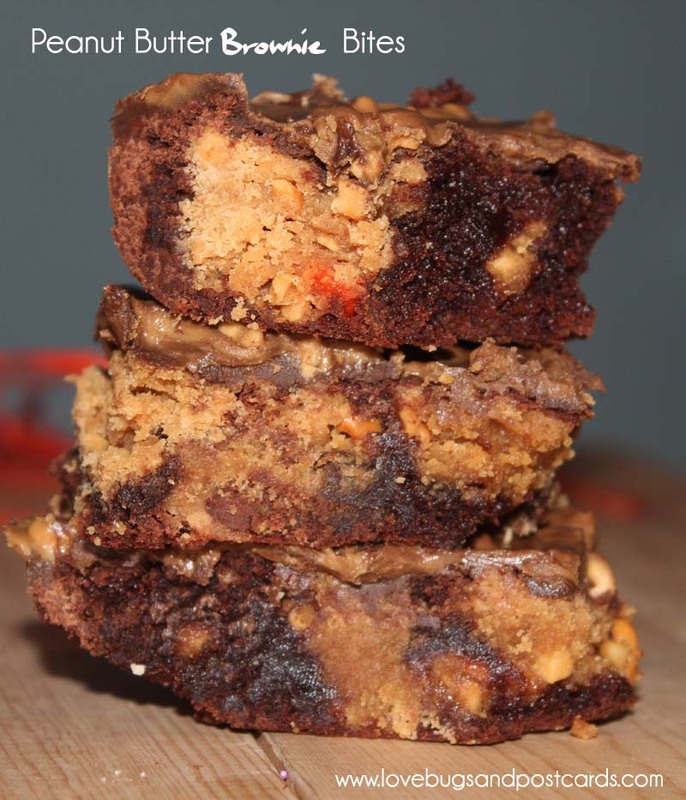 You make a pan of brownies and add chunks of yummy peanut butter to your batter after cooking it for about 10 minutes. I also added chocolate chips. The nuts from the chunky peanut butter added an extra layer of flavor and texture that just made my mouth water. Make brownie mix according to package directions and bake ONLY for 10 minutes. While this is in the oven, you will take 1 cup of peanut butter, 1 egg, and 1 cup of white sugar and mix together. You will then add in about 1 cup of chocolate chips and mix well. After cooking the Brownies for 10 minutes, you will pull the brownies out of the oven, and take the peanut butter mixture and scoop it in chunks (about 1 tbsp in size) over the brownies. I did several small chunks so that the whole top was covered. I cooked it for about 5 minutes so the peanut butter mixture was heated and pulled it back out to kind of smear it all together. Put the mixture back into the oven for about another 20 minutes - checking on it occasionally - until a toothpick inserted in the center comes out clean. When the brownies finish cooking - pull them out and set them on a wire rack or your gas stove top to cool. 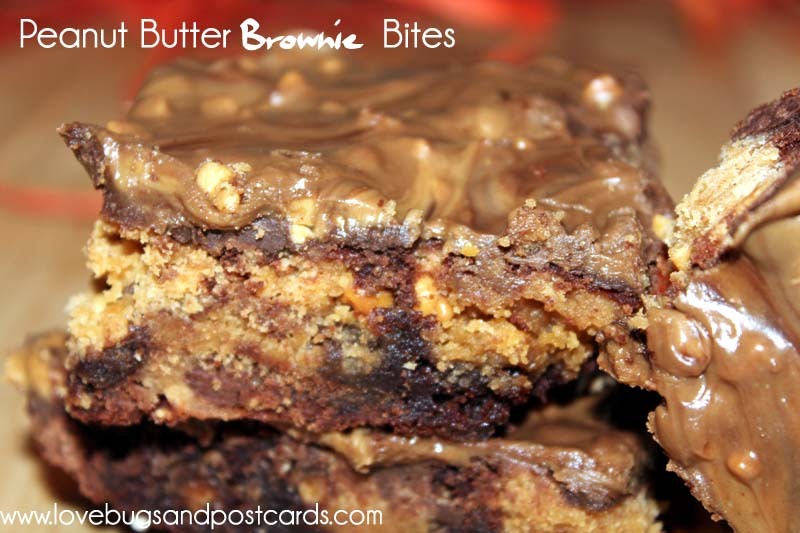 Take 1 cup of chunky peanut butter and 4 square of bakers chocolate and melt together. You can do this in the microwave (about 30 seconds, stirring every 10 seconds) or in a double boiler (by taking a pan of boiling water and putting a heat safe glass dish over the top to heat the bottom. When your mixture is melted at a dash of vanilla and stir well. Pour it evenly over the brownies and spread all over. Let it set for as long as you can - maybe like 30 minutes - just to avoid getting burned by the hot brownies. Autumn just puts that spark into you (at least me) and makes me want to get out and get it done. 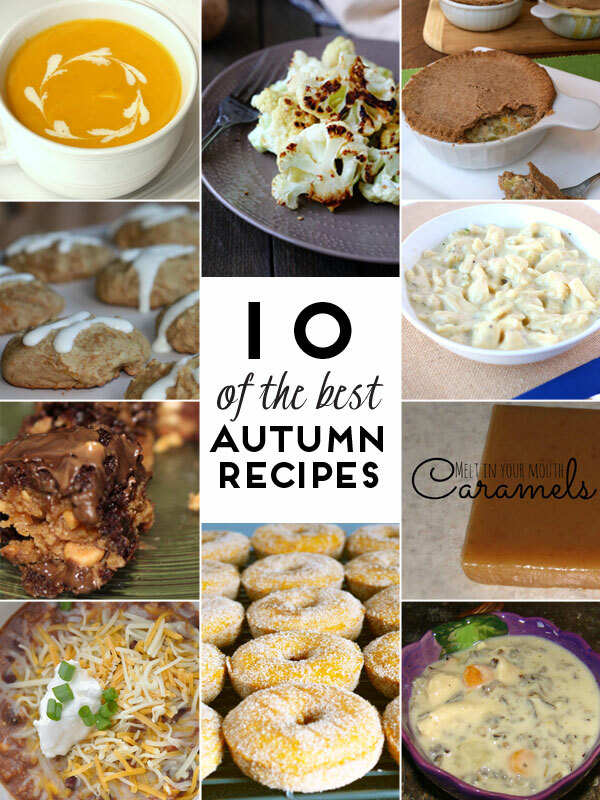 I am excited to be part of this fun Recipe round up so you have some great choices of the Autumn recipes that are here.